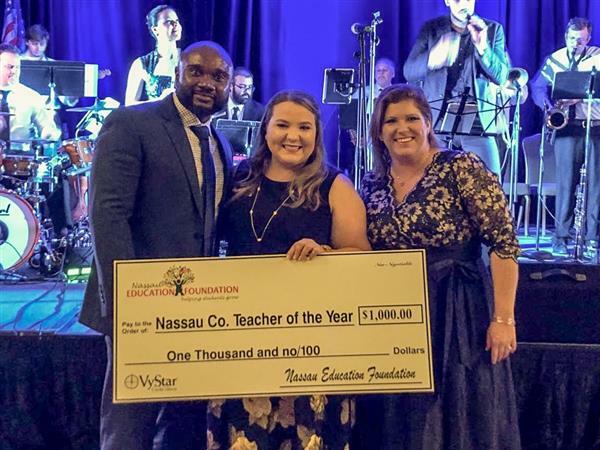 Nassau County School District's Teacher of the Year! Ms. Watkins teaches 4th-grade at Yulee Elementary School. When asked why she enjoys teaching, she stated, "Being able to build relationships with my students is one of the main reasons I teach. I enjoy seeing each student grow when I put the time and effort into knowing them, not just in an academic way, but a personal way as well. I believe that when students know they are loved and cared for they will willingly rise to any challenge set before them. I enjoy building these relationships with my students and watching them grow through their year with me and beyond".